Hand #36: Alexander Case opened to 200,000 from the hijack and Cuong Van Nguyen called from the big blind. 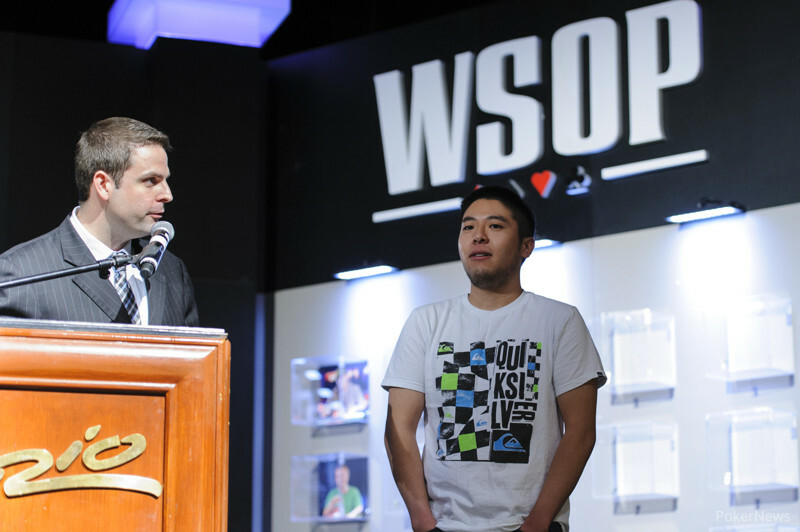 The flop came down and Nguyen checked to Case who bet 100,000. Nguyen check-raised to 400,000, Case shoved, and Nguyen called all in for 1.37 million with for top two pair. Case trailed with and couldn't catch up when the turn and [As\ river locked up the pot for Nguyen.